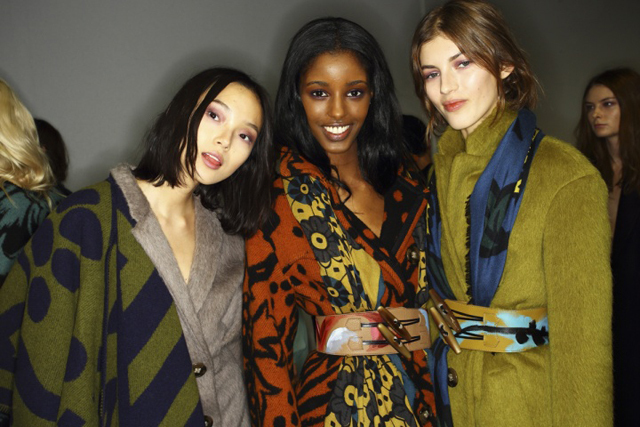 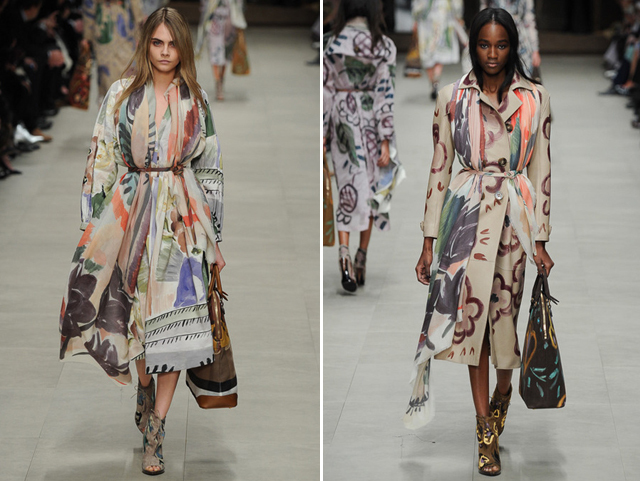 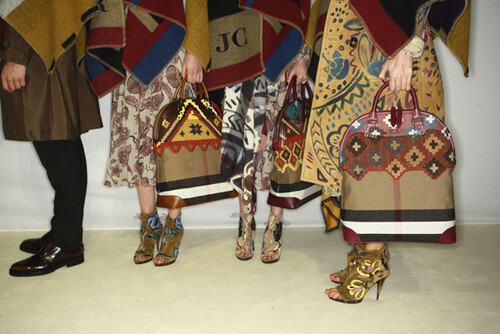 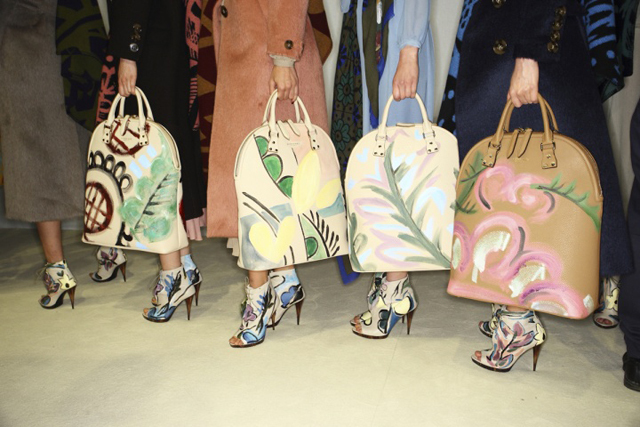 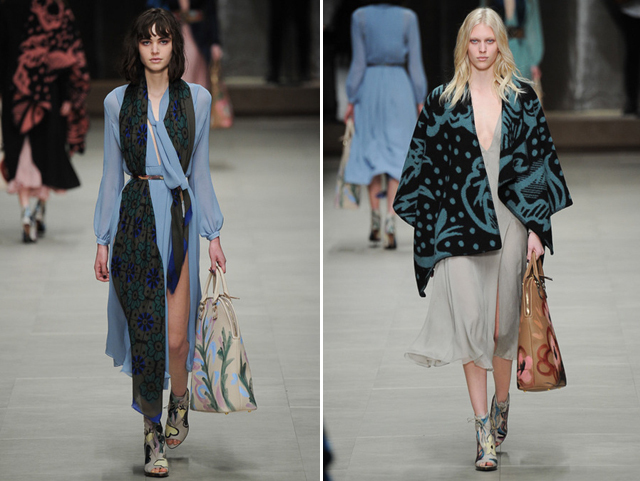 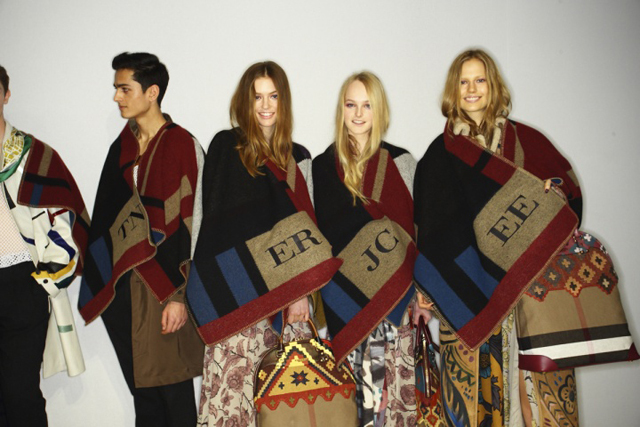 Christopher Bailey traded Burberry‘s traditional plaid for boho flower motifs for his fall collection. Shearling jackets, trench coats, silk crepe dresses, scarves, toggle belts, handbags and booties were all drawn upon, free hand, with smudgy flowers and vines. 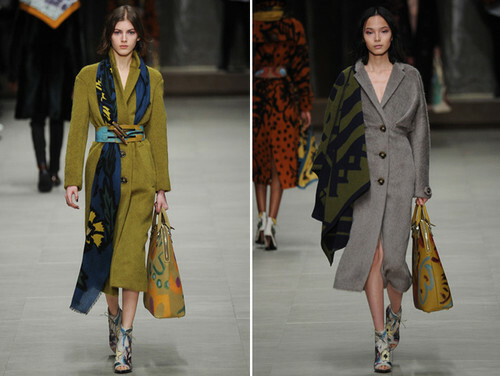 It was all so beautiful and the styling was even better – with wool and cashmere blankets worn as shawls and long scarves draped around the body and cinched with belts.